While watering the garden last evening, I detected the merest hint of green in the row planted with carrots. 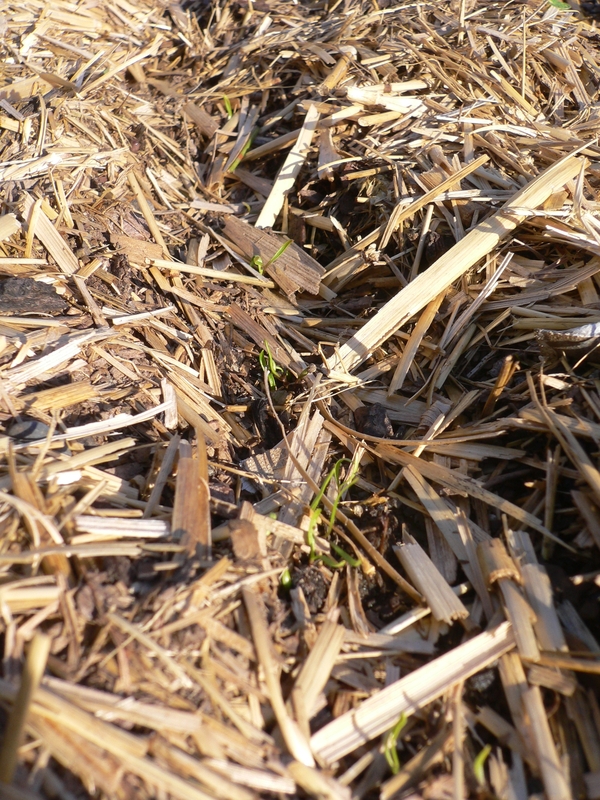 The bed is heavily mulched and even though we brushed the straw away to sow the seeds, the wind has blown some of it back. Consequently, the soil surface is not readily visible and neither are any seedlings when they first break through. 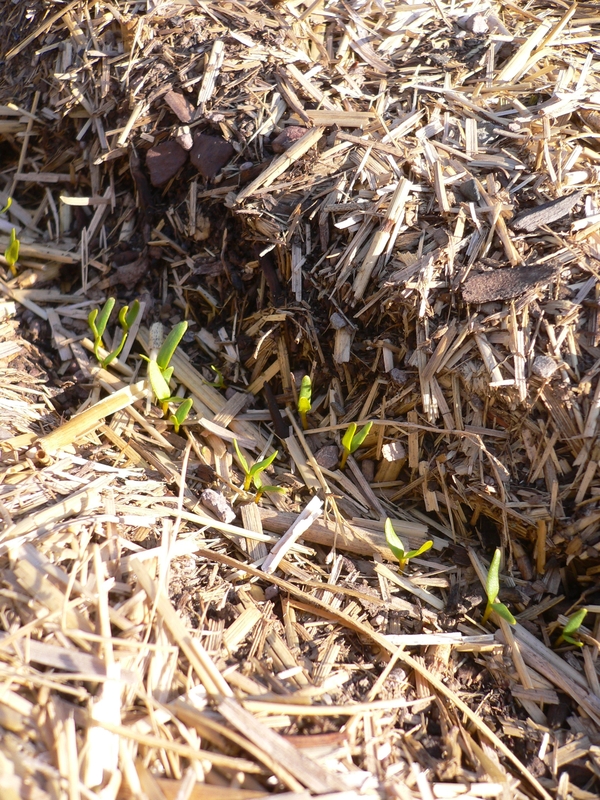 But although their leaves are tiny, the seedlings are a brilliant green and against the pale tan backdrop of the mulch, the bright color indicates the seedlings’ arrival subtly.